What a way to start off the New Year, we had all four girls at our house for New Year’s Eve to play games and just have a good time. Wait a minute, some of you reading this are probably confused because I have never mentioned having children, so before I go any further into this post let me give you the short version of what all went down last year, well the big stuff anyway. 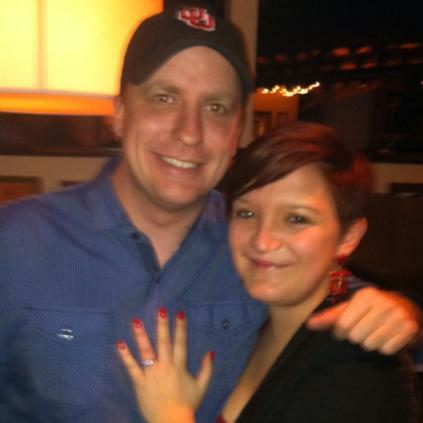 September 2014 – September 13th to be exact, we got married! In the realm of 125 of our closest family and friends we said I do in a beautiful church. 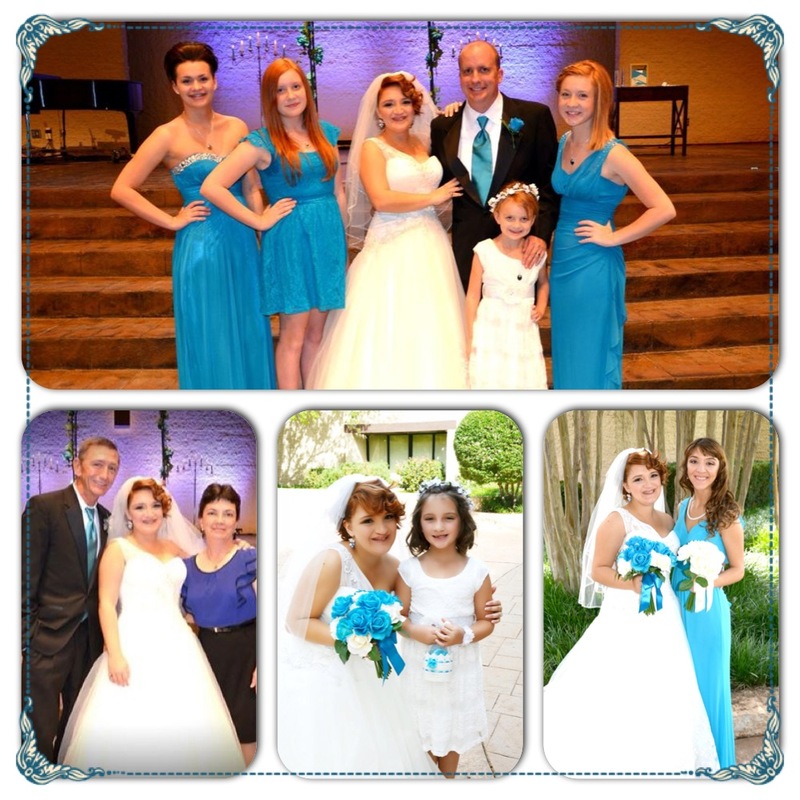 With the unity of Dave and I, I gained four daughters! 🙂 We also became home owners! November 2014 – Our 12-year-old daughter moved in with us and I’m learning so much from having her here, like how to do sixth grade math again! Haha! 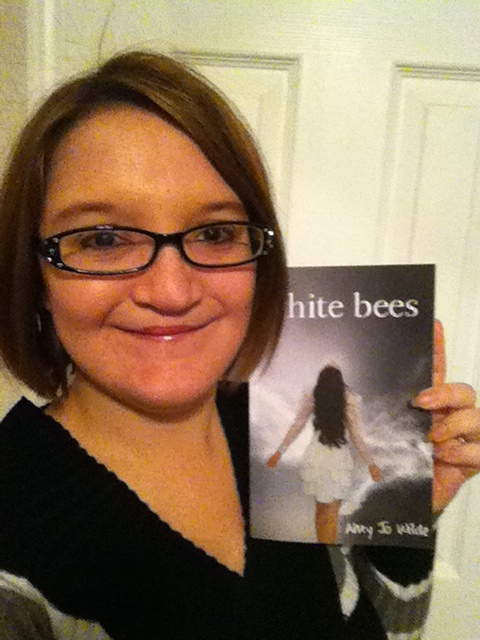 Another reason it’s been a great start to the year is because I got “White Bees” in the mail. My mom likes to look on Amazon and eBay for cleft related books, not text books, just enjoyable reading books. She’s found a lot more than I realized existed. We each have a couple of children’s books. One book in particular she sent me an e-mail (July 2014) telling me there was a book she thought I would like, entitled “White Bees” by Amy Jo Wilde. I read the synopsis and replied, “I will be buying this soon. Thanks mom :)”. The synopsis (before I go any further): A memoir written by Amy detailing her many surgeries she had to endure as a result of being born with a bilateral cleft-lip and palate. One of her main surgeries happens in high school. It takes you through her trials and triumphs. July came and went as I was finishing up wedding plans for the wedding so I didn’t buy it right away. Instead my Aunt (my mom’s sister) bought it, read it, and loved it. My aunt then mailed me the book in August/September timeframe. She said I could keep the book :). I set the book aside and worked on wedding details. Then after the wedding came moving and everything that goes along with it. Finally in mid-December I picked up “White Bees” and within a weekend I was finished with it. I could not put it down! It was such an amazing book and I’m not just saying that because I too have a cleft, it was a beautifully written story. Now I will say because I have a cleft I felt like I could relate with Amy so so much. I felt her pain and her happiness. I laughed, cried, and got mad as she did. After reading the book, I had to view Amy’s website, I was chomping at the bit to know if she had written anymore books! I found out that while she didn’t have another book, she does have a blog! 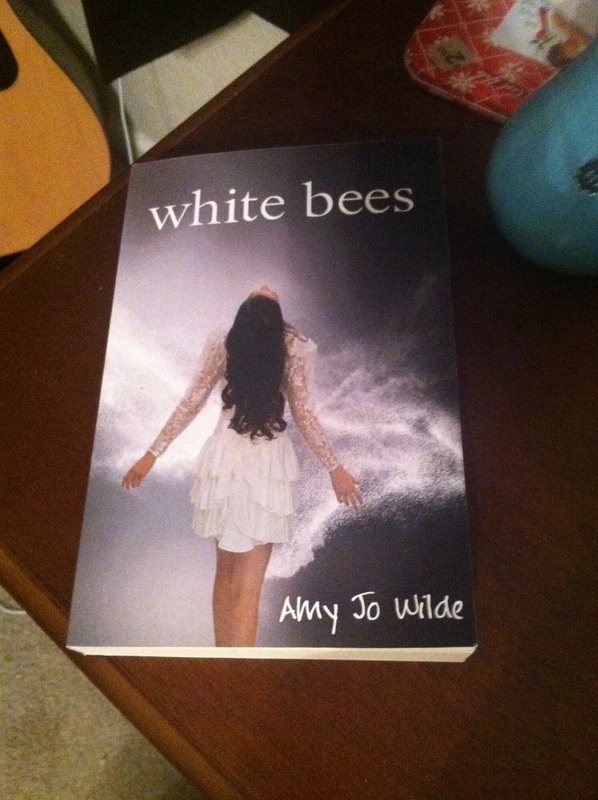 I saw that you could request a signed copy of “White Bees” from Amy herself. I wrote in hopes that it was truly Amy that was going to read my message. A couple of days went by and Amy Jo Wilde herself e-mailed me back! Let me just tell you I was so excited and honored. 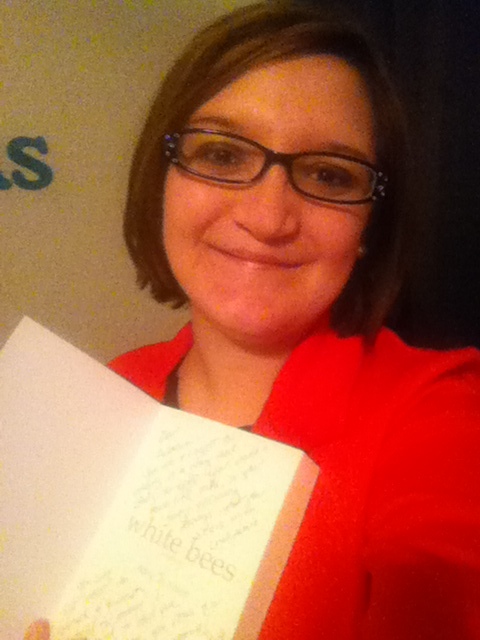 I was over the moon when I read what she had written “…Thank you so much for taking the time to write me. Your blog is wonderful, and YOU ARE BEAUTIFUL!! !” Talk about a compliment! She wrote more and then gave the link to where I could purchase the book and get a signed copy. I let my mom borrow my non-signed copy and I hope she’s almost done reading it so I can discuss the book with her! Hint hint mom, because I know you’re reading this! 😉 Meanwhile, I waited for my book and on New Year’s Day, what should I find in the mail (it must have been in there a day or two, we don’t check the mailbox daily, whoops) but my SIGNED copy of “White Bees”! To say I was ecstatic is an understatement and to know that Amy mentioned me being a “new friend” was so sweet. I definitely have found a friend and role model in her. I know so many cleft kiddos or 20 something clefties that I just adore but it was so encouraging to me to see how positive Amy is and how encouraging she is to so many people. She’s a motivational speaker too! How many of you know I said that’s what I’d really love to be?! It is all just so awe-inspiring. I just had to share this experience with you all! Thanks mom and Aunt Angie for being wonderful women to look up to and for suggesting and buying the book for me to read. Thank you Amy for writing your memoir for everyone to read.